Just some food for thought. You are welcome to ask the waiter to send it back to the kitchen. This is sort of like league expenses. Most people disagree with the contention that running a football league is expensive. They see the figure of 10 million dollars spent a week or a thousand employees and assume that the figure is stupid or unnecessary. When it’s really just the standard. This will fall under the same scrutiny. Perhaps more so. I am eliminating top executives from this argument. Make no mistake, Oliver Luck, Doug Whaley, Jeffrey Pollack and all the team presidents are being paid top dollar for their positions. They are getting the industry standard and then some because they are the bosses over entire departments. It’s much easier to convince players to join the XFL than it is coaches. If you are a football player who has no NFL options and you want to continue your pro playing career. You will play in The XFL. Playing in Canada is an option but even that has restrictions. Teams in that league only allow a certain amount of non Canadians per roster. These are the first hurdles before you even get to the football logistics of where the team headquarters and practice facilities are. Now comes the hard part. How do I fill out my football staff? If I take the job. Can I convince coaches to join me here and make all the arrangements that I have. 10 assistants means 10 families with all of the same issues. These are big life changing decisions. All coaches go through this but it’s multiplied when it comes to an upstart league. This isn’t the NFL or college football. There are risks involved there too with the same issues but.... those leagues are going to still be around with paying jobs. Setting aside the pay difference, which is always a big factor. It’s the security of the job. If an NFL head coach gets fired after one year. There’s a strong likelihood that the coach will land on his feet with a better resume and a new job, either in the NFL or in college. For any of the coaches that sign on with The XFL. I give them credit for taking a leap of faith and a chance. It doesn’t mean that I agree with the choices of all these hires but I respect that that they are taking the risk and buying in. Last edited by MikeMitchell on Thu Apr 18, 2019 12:08 pm, edited 1 time in total. I think the biggest hurdle is the timing. Since they play Feb-April, you're asking coaches to give up the Fall season beforehand and probably miss out on the hiring cycle thereafter. It's effectively a two-season commitment. For players, they can theoretically play in the Fall, play in the Spring, and in the Fall again. In some ways, Hamilton's been their most impressive hire to date. Probably my favorite hire as well. Your point about time of the year is valid. This opens up another can of worms. 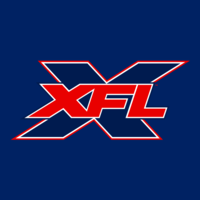 Does the XFL coaching contracts prohibit coaches from leaving. Here’s the fear. The Cowboys have a bad year. Garrett gets fired. What’s to stop from Bob Stoops from taking The Cowboys job in January. A month before the XFL season starts. League has to guard against coaches leaving during the coaching carousel at the end of the nfl and college seasons.